The TRADE > Blog > A flash in the pan? The perceived unfairness of high-frequency trading (HFT) on end-users has once again brought wider attention to market structure, but whether, and to what degree, the end-investor is truly hurt by low-latency activity remain open questions. Michael Lewis last week sparked renewed, heated interest in HFT, forming a personal dimension to a subject shrouded in technology, regulation and a diverse cast of participants that contribute to modern equity markets. The books creates, unintentionally, an interesting parallel between the big banks’ adoption of low-latency trading, and the wider public’s understanding of HFT. The latter (represented by the end-investor), like a large, unwieldy bulge bracket firm, has been slow to learn of and adapt to HFT. For the buy-side, it brings to wider attention facts long since known, debated, and in many cases, dealt with. One can scarcely attend an event featuring a market structure discussion without hearing a the line that if we were to sketch an ideal US equity trading environment it would look nothing like what we have. So, too, on the subject of HFT you might hear – from the buy- and sell-side alike – that it’s a necessary evil in a liquidity-thirsty world, helping and hindering in equal measure. 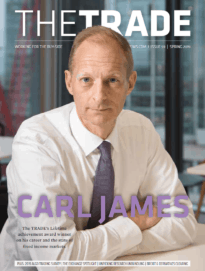 For Lewis’ efforts, he has charted the rise of low-latency trading with precision and colour, but the core arguments surrounding HFT, grappled with by traders on a daily basis, remain largely untouched. Do end-investors suffer? Yes, but they also benefit. Have exchanges cow-towed to HFT firms to exploit a new revenue source at the expense of their traditional clients? Yes, but in a way that renders their actions almost negligible in light of competing technological advances from competitors. The book’s hero, Brad Katsuyama, founder, president and CEO of IEX – a venue that has de-emphasised speed to benefit the buy-side - himself acknowledges that HFT entities have only exploited a system in line with regulations, as opposed to committing coordinated, large-scale fraud. More resonant than HFT questions is a larger idea that the regulators guiding markets are restricted in implementing rules at a time of ceaseless technological change and increasing complexity. In this case, as Lewis notes, Regulation National Market System (NMS) is the blueprint by which many HFT business plans were etched. “Reg NMS was intended to create equality of opportunity in the US stock market. Instead, it institutionalised a more pernicious inequality. A small class of insiders with the resources to create speed were now allowed to preview the market and trade on what they had seen,” he writes. 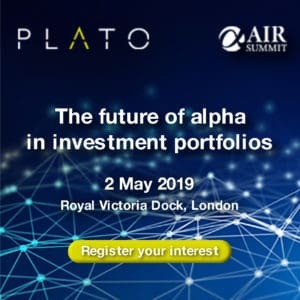 Another major take away is that the retail investor may emerge the true victim of HFT, without the resources of a buy-side firm to decide which pools to access and algorithmic tools to use, to guard against predatory behaviour. In this sense, moms and pops across the States will continue to settle the bill for something they haven’t ordered until meaningful rules emerge.